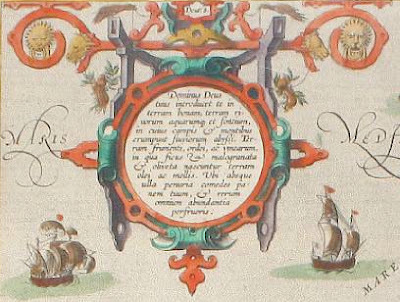 ORTELIUS, Abraham. Palestinae sive totius terra epromissionis. 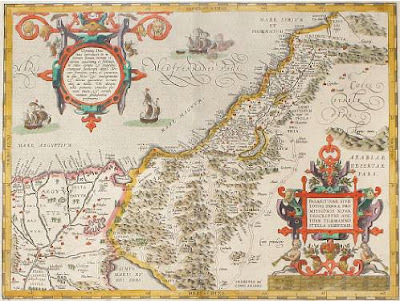 A beautiful hand-colored copy of Ortelius' map of Palestine (Israel) from the 1572 Latin edition of Theatrum orbis terrarum (Antwerp: In Officina Plantiniana, Auctoris aere et cura), considered to be the sum and summit of sixteenth century cartography, will be auctioned at Bonhams-NY on Thursday, December 9, 2010. The Theatrum orbis terrarum (Theater of the World), the first true atlas, went through twenty-five revised and expanded editions before Ortelius' death in 1598. From the original seventy maps in the 1570 first edition, it had grown to include 167 maps within its thirty-fifth edition issued in 1612. 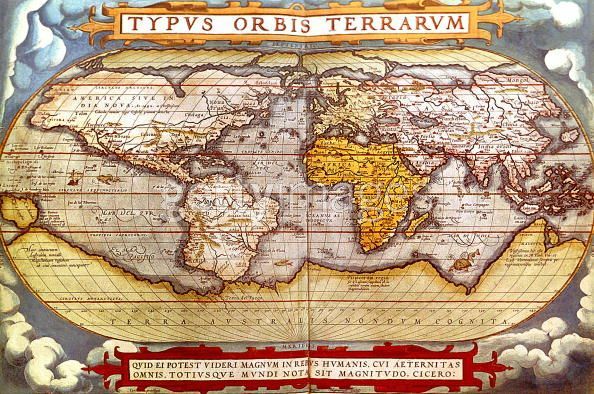 World map from Theatrum orbis terrarum. The world has never looked so attractive, nor Israel so tranquil. 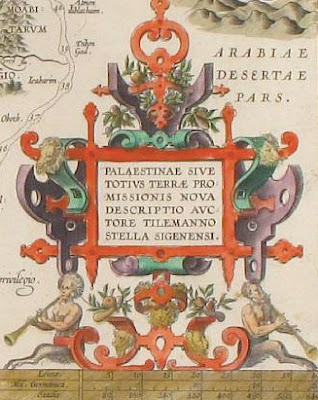 Images of map of Palestine courtesy of Bonhams.